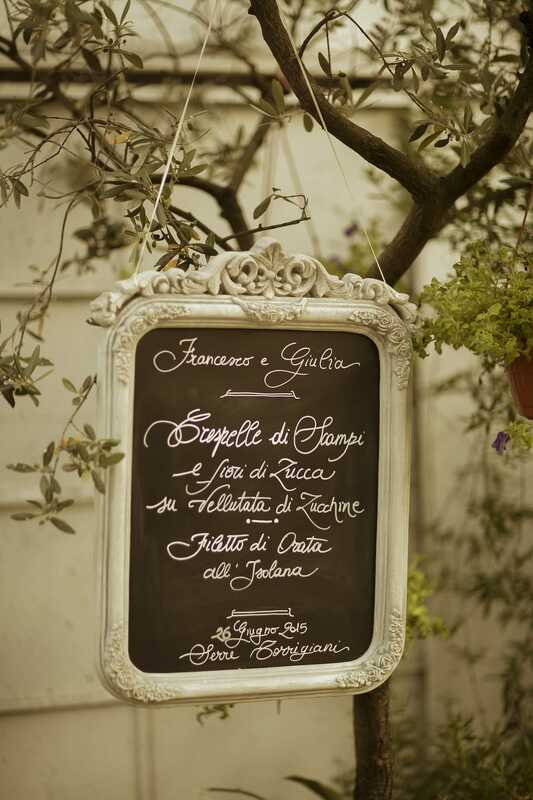 Giulia and Francesco reached out to us while searching for someone to taken care of their wedding in great detail -- they really wanted for their big day to reflect their whimsical, creative and fashion-oriented personalities. 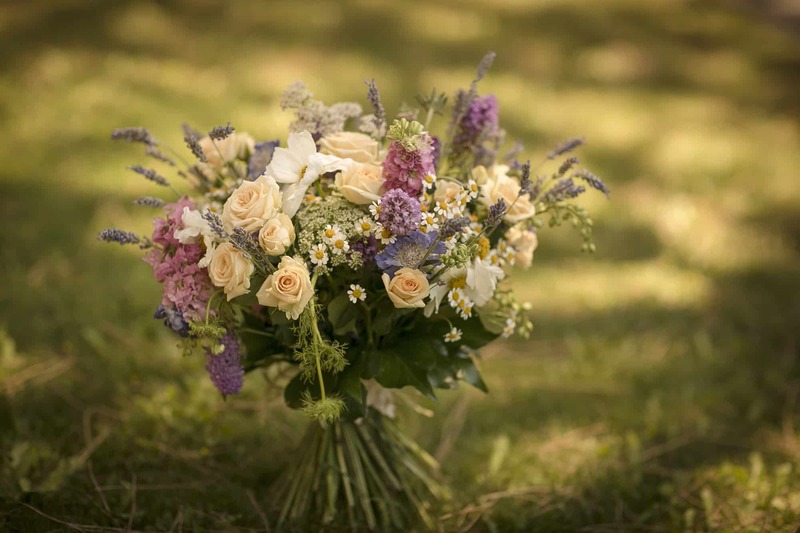 From their choice in location, we immediately understood that the wedding would have a country – or, however, nature-related – theme, where flowers and plants would stand out. 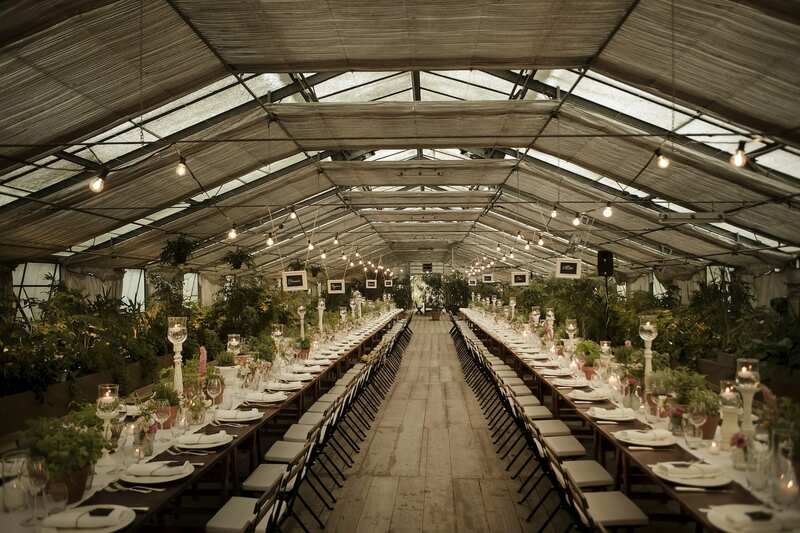 The venue they ended up booking was a greenhouse: the beautiful Serre Torrigiani in Florence, an unexpected oasis in the midst of the historic city centre. Moreover, their choice in attire led us to understand another key aspect of the couple’s character: their care for anything fashion-related and the intention to surprise their guests with unconventional – yet perfectly suited – looks. 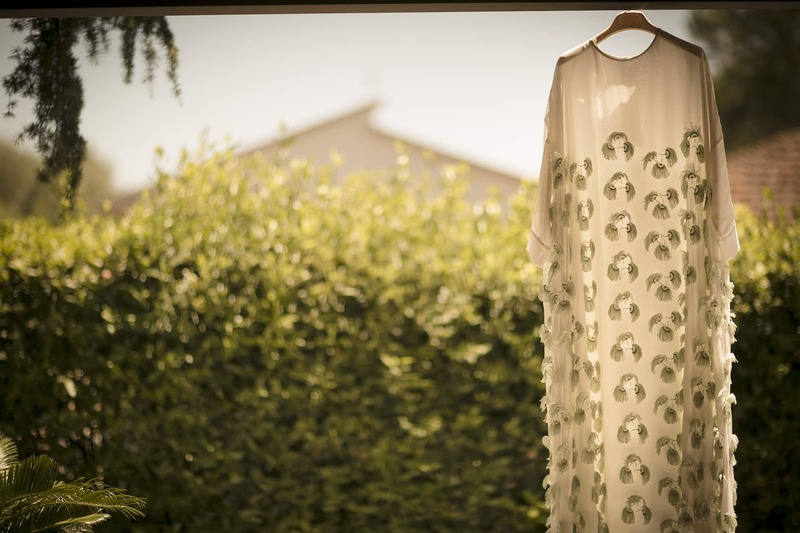 Giulia left everyone breathless with her robe-like gown with green details. Her floral crown perfectly matched her “ruffled up” wildflower bouquet. 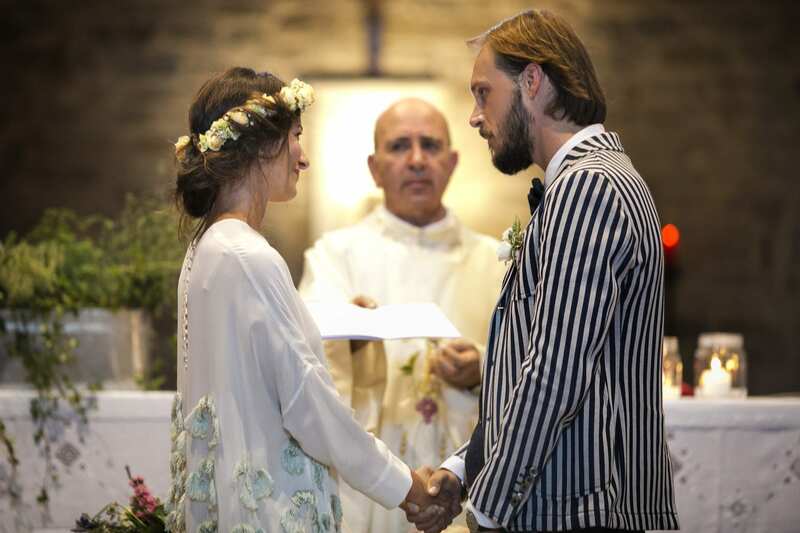 And Francesco looked absolutely dashing in his pinstriped blazer and slacks… A perfect combination! 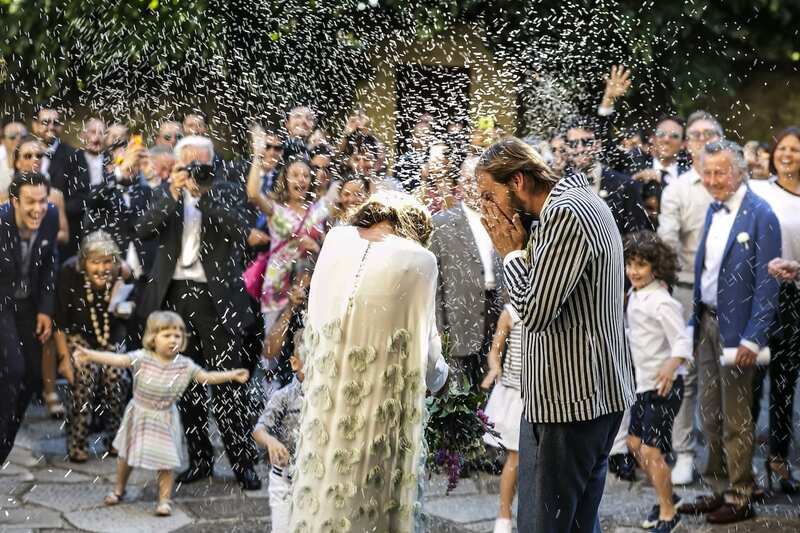 The couple celebrated their Catholic wedding with a very simple and intimate ritual at the romantic hilltop church of S. Margherita a Montici in Florence. After a touching ceremony, guests were transferred to the venue, where a ravishing reception was awaiting them. 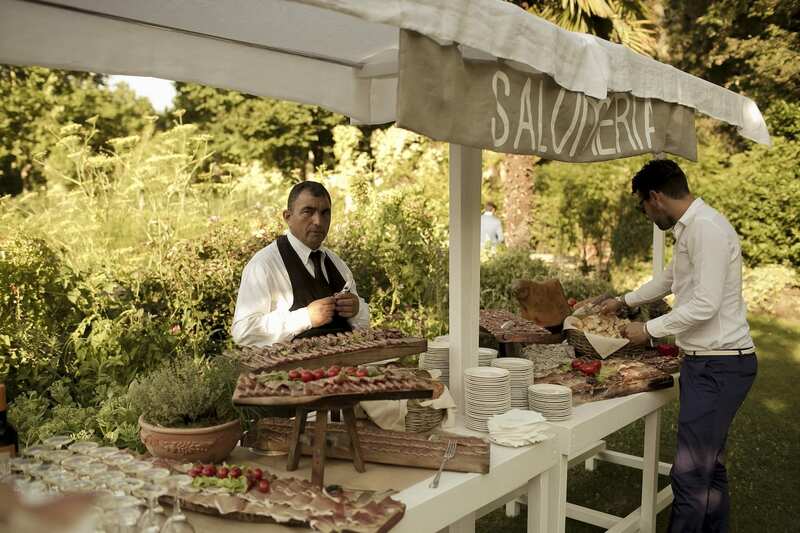 Cocktail hour was set up following an island distribution of themed wooden stands, scattered across the entire garden, which included: a soups stand, a charcuterie stand, a cheese stand, a fried foods stand… and many more! The newlyweds wanted to recall the look and feel of a farmer’s market, genuine and cheerful, with somewhat of a street food vibe to it. The event continued with an elegantly served sit-down dinner (let’s not forget that it is still a wedding! 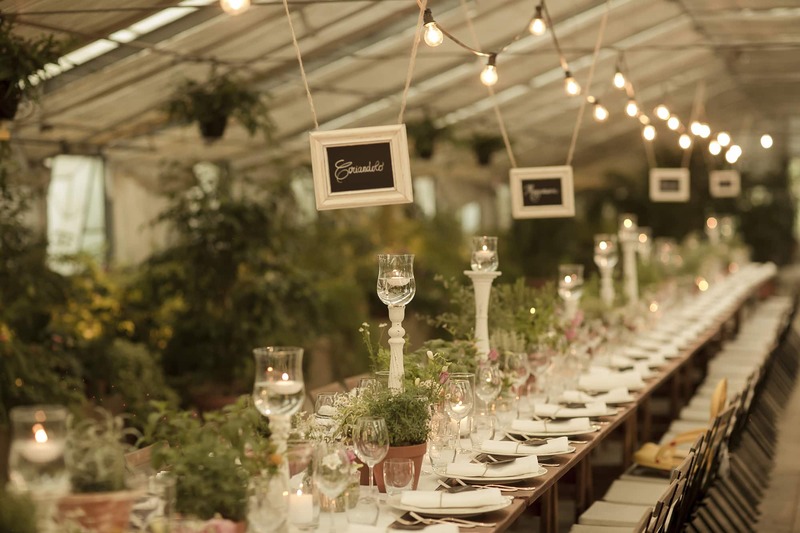 ), with two long tables placed at the centre of the main greenhouse, completely surrounded by plants on both sides and illuminated by lights up top and on the tables. For an even more perfect atmosphere, a band played songs and tunes that enticed the guests to take part in the partying and dancing.